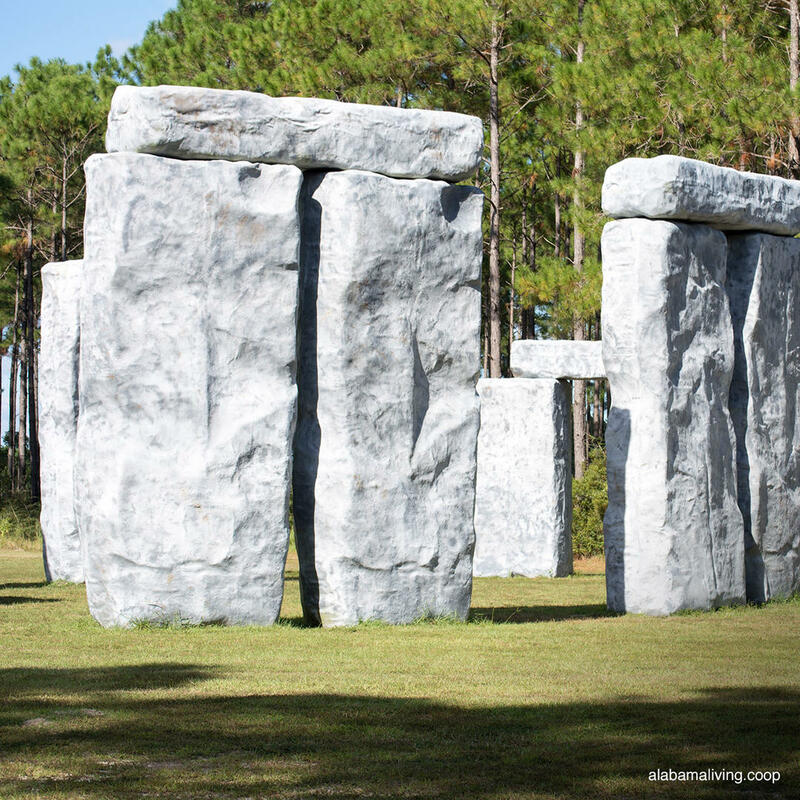 Secluded behind a pretty forest, Bamahenge is Alabama's answer to Stonehenge. Artist Mark Cline built this replica of the original from fiberglass. An impressive feature is that it almost perfectly mimics the dimensions and alignment of the real Stonehenge especially in relation to the the stars. This park is free to the public. You could even pack a picnic and bring it along - just clean up after yourselves!